When I opened [the book] I was fascinated to find it was someone’s diary. It was clearly 70 or 80 years old. Inside were all sorts of things: an old postcard with a stamp on it, a tiny pressed flower, and pages and pages of very elaborate handwriting, in a mixture of English and French. Lines the author had heard and thought beautiful were written down, and she had used it as a companion to put down anything that occurred to her, so there were also shopping lists and a list of clothing. It was a moment of peeking into someone’s head. Were she the protagonist of one of her own books, it’s likely that this process of discovery would go much deeper. Each of the books in the Languedoc trilogy, the final volume of which — Citadel — was published in the US two weeks ago, is like a palimpsest, with an establishing narrative thread intersecting with, echoing, or obscuring past events in a rich weave of history and romance. Like A.S. Byatt’s Possession and Umberto Eco’s The Name of the Rose, Mosse’s work is in thrall to the imaginative possibilities of the past and the thrill of discovery inherent in ancient manuscripts and artefacts. 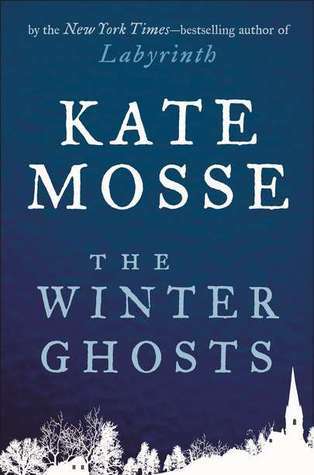 Her 2009 novella The Winter Ghosts (published in the US in 2011 by G.P. Putnam’s Sons) is a great example. Freddie Watson is a troubled young man, haunted by the death of his brother during the First World War and a period in a sanatorium in his early twenties. We meet him first in Toulouse in 1933, where he has travelled to visit an antiquarian bookseller named Saurat who might be able to translate a scrap of parchment in his possession. The story of how he came by it, nearly five years earlier, is an eerie, uncanny tale in the vein of Sheridan Le Fanu or Algernon Blackwood, writers Freddie spies in the window of Saurat’s bookshop before he enters. Interwar Europe is an excellent choice of setting, a historical moment when the possibility of communing with the dead was most strongly desired and, despite a couple of centuries of Rationalism, seemed most possible (see John Gray’s fascinating The Immortalization Commission). Tormented by his older brother George’s death, Freddie’s life has come to be dominated by a war he never saw. Even the language of war has infected Freddie’s sensibilities: “I occupied an emotional no-man’s-land”. A couple of times he recalls his and George’s love of Peter Pan as children; Pan, who viewed death as an “awfully big adventure”. There is a particularly sharp irony to this, of course, as George was part of a whole generation doomed never to grow up. As he’s driving in the hills near Nulle, the fictional town where Freddie faces his demons, he thinks he hears George’s voice whispering to him through the falling snow. After nearly crashing his car, Freddie arrives in town on the night of La Fête de Saint-Étienne, an annual celebration, which he is persuaded to attend. There, he meets a beautiful woman called Fabrissa, with whom he finds himself inclined to share all his darkest experiences. If you enjoyed The Winter Ghosts, the complete Languedoc trilogy — Labyrinth, Sepulchre and Citadel — is available at McNally Jackson. You can also follow Kate Mosse on Twitter here.